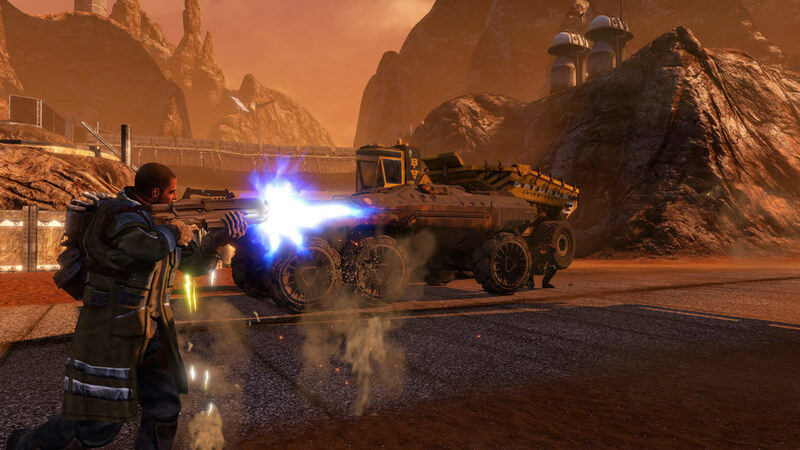 Open World Guerrilla Warfare - You decide who, when, where and how to battle. 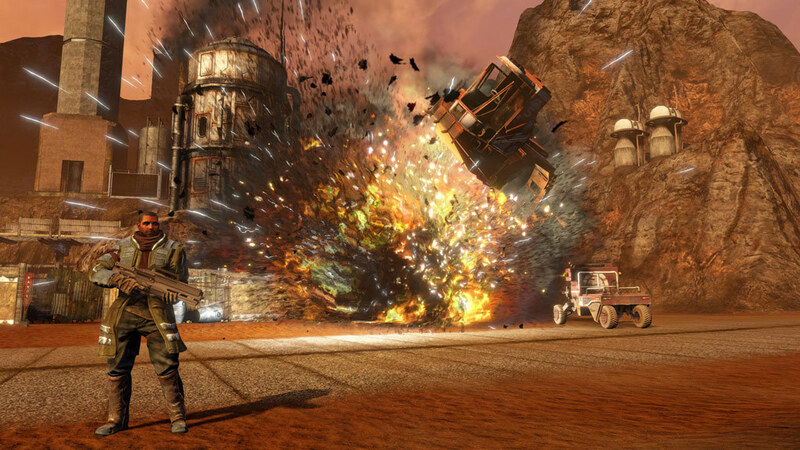 Utilize guerrilla tactics, improvised weaponry, and modified vehicles to lead insurgent attacks on EDF targets. 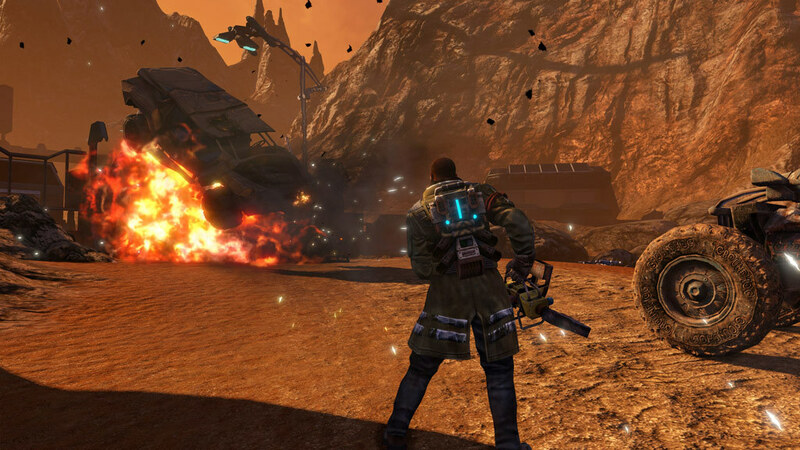 Launch attacks based on your own gameplay style, take on missions in any order you choose, or engage in destructive activities to weaken the EDF's grip on Mars. 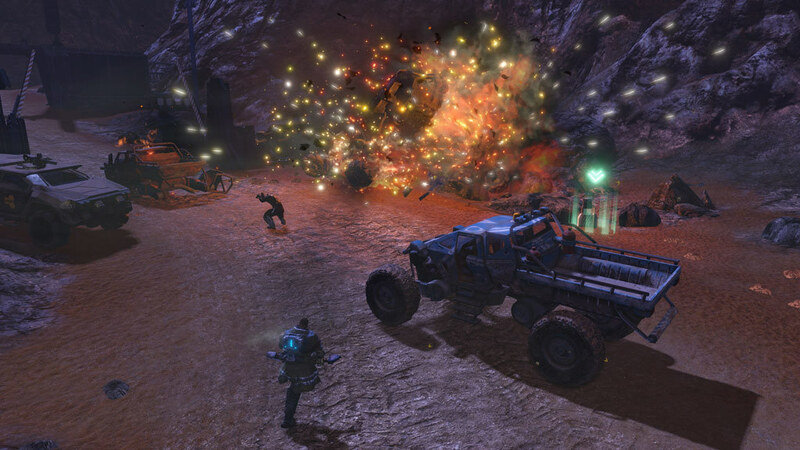 Strategic Destruction - Use destruction to your tactical advantage, setting ambushes or chain reaction explosions to attack enemy strongholds and permanently modify the game environment. 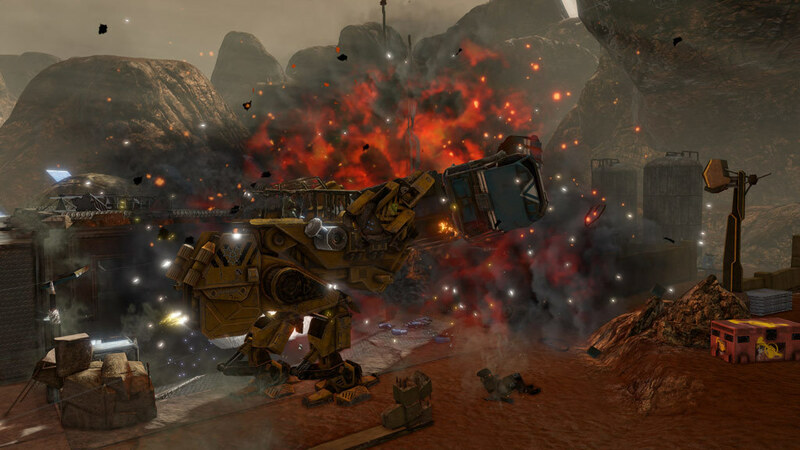 Leverage fully-dynamic physics-based destruction to improvise on the fly: blow holes in a wall or floor to set an ambush or escape, take out a staircase to stop your pursuers, or drive vehicles through blown out walls. 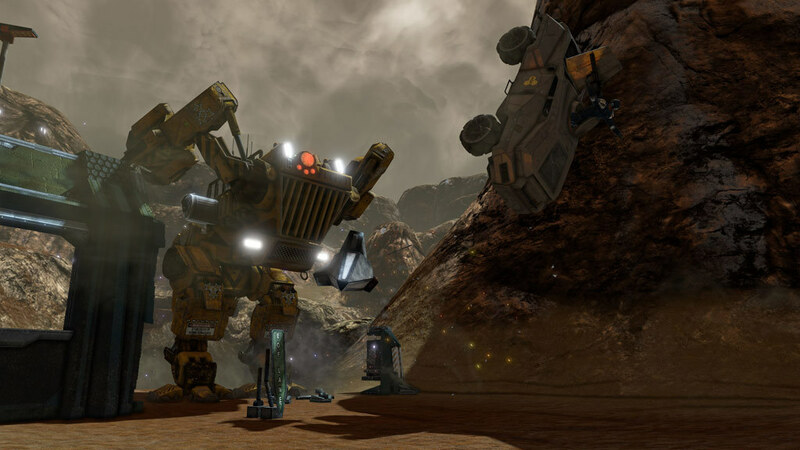 Evolving & Emergent Gameplay - Carve your path through an ever changing landscape as you improvise your combat tactics - mixing gameplay styles, vehicles, weapons and explosives to defeat the EDF. 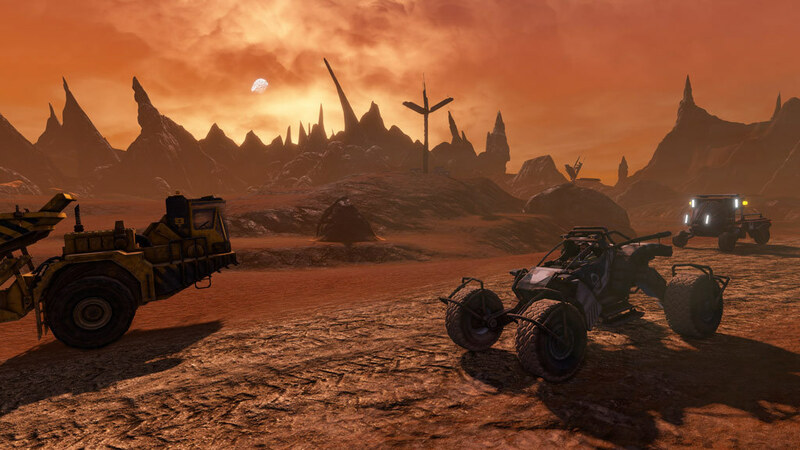 Epic Sci-Fi Setting - Explore the huge, unforgiving Martian landscape, from the desolate mining outpost of Parker to the gleaming EDF capital city of Eos; then tear through the fully destructible open-world environments swarming with EDF forces, Red Faction resistance fighters, and the downtrodden settlers caught in the cross-fire. 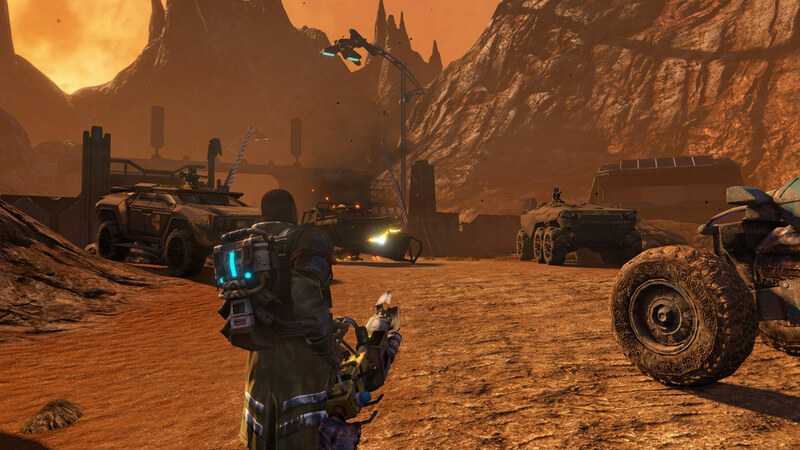 Multiplayer Combat - There is no place to hide when you put your guerrilla warfare skills to the test in a variety of highly destructive multiplayer combat modes. © 2018 THQ Nordic AB, Sweden. Developed by KAIKO. 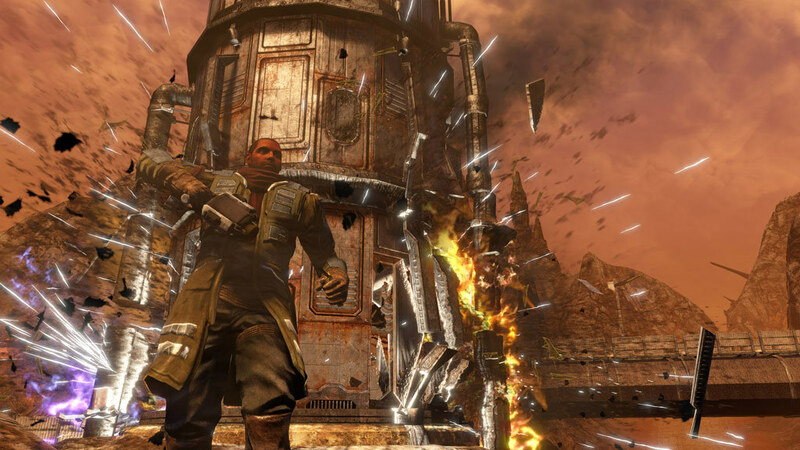 Originally Developed by Volition, Inc. Red Faction, THQ, Geo-Mod and their respective logos are trademarks and/or registered trademarks of THQ Nordic AB. All rights reserved. All other trademarks, logos and copyrights are property of their respective owners.